Machynlleth is the main rail point for entry and exit to the Meirionnydd (Snowdonia) or the Ceredigion sections of the Wales Coast Path and as such this is for most walkers this is their first overnight in Wales. The mainline runs from here all the way to Birmingham New Street connecting to the rest of the UK splitting at this important junction to head North to Porthmadog or South to Aberystwyth. For the new arrivals Machynlleth is an entertaining and welcoming introduction to the country – largely off the usual tourist track it’s a place you will find “real Wales” from the off. 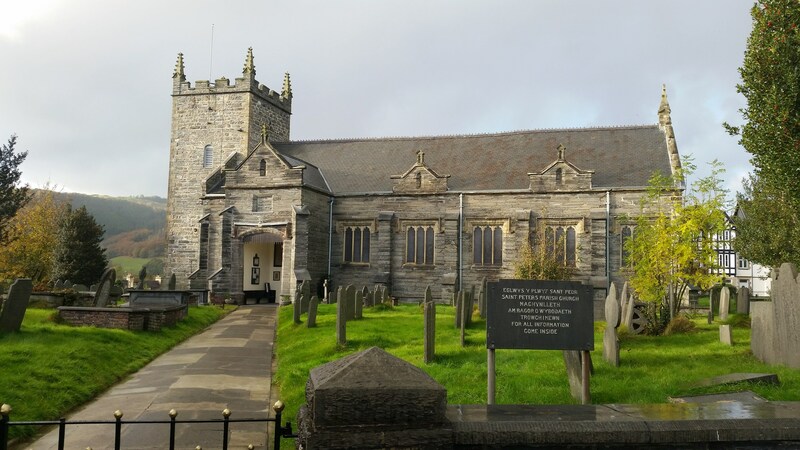 If Cardiff is the administrative capital of Wales, and St David’s is its spiritual one, then Machynlleth or simply ‘Mach’ is its alternative capital! Since the 1970s the modest town has attracted its fair share of artists and alternative lifestyle followers - which has led to it now being one of the most cosmopolitan and unique places in Wales. One consequence of this is the high number or independent retailers – from locally produced crafts to local produce – which makes for a far more interesting high street than the usual chains and national outlets. 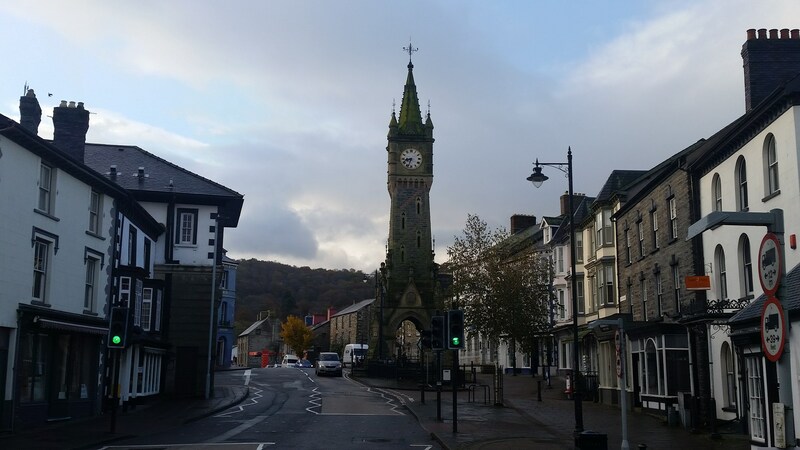 The centre of the town is dominated by the Victorian Gothic clocktower, erected in 1873 to commemorate the coming of age of Charles Stuart Vane-Tempest, son of the Fifth Marquess of Londonderry, who owned the Georgian mansion of Plas Machynlleth, now an art gallery and conference venue and café on the edge of town. The grounds are open daily and are free to visit. Opposite the clock tower, Maengwyn Street is the location of the produce market which has traded here for 700 years since Edward I granted the town a charter to hold a market here every Wednesday in perpetuity – if you are here midweek take a look! It was in Machynlleth that the coronation of Owain Glyndr took place in the year 1404 and for a while it seemed he would be successful in his dream to break the country away from the English. At Parliament House you’ll find the Owen Glyndr Centre – and here you can learn about the man, about his ambitions and the ultimate defeat of his attempt to create a free Wales. Nevertheless he remains a significant and symbolic figure, whose struggle for Welsh independence still inspires nationalist groups today. 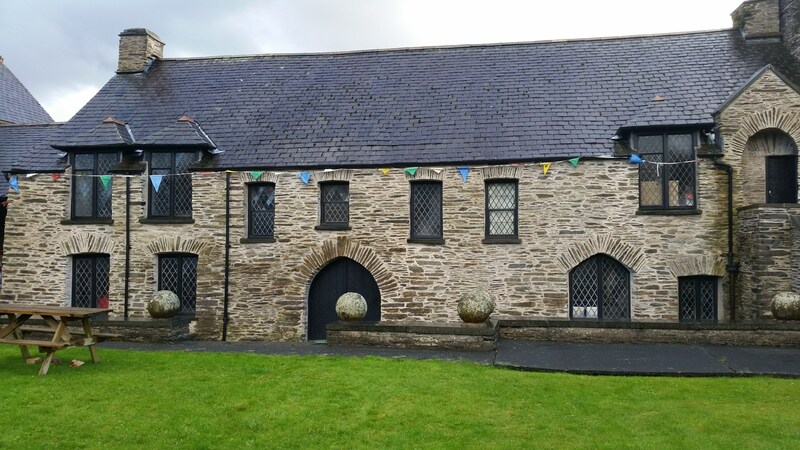 Located in the former Machynlleth Wesleyan chapel, MOMA – the Museum of Modern Art has grown since its inception in the 1980s into a flourishing centre for the arts with seven separate exhibition spaces displaying work from over 300 Welsh artists. The centre has a holds a continual succession of exhibitions by Welsh artists as well as theatre, comedy and concerts throughout the year. The gallery is open from Monday to Saturday from 10am to 4pm and entry is free. For those who have taken an extra day here, there are some fantastic places to visit in the surrounding area. Three miles out of town, built in an old slate quarry CAT – the Centre for Alternative Technology – utilises 3 hectares of space to demonstrate with displays and working examples of ways to move to renewable energy and sustainable living with everything from organic gardens to sustainable buildings after arriving in style on the water-powered cliff railway. The Quarry Trail through broadleaved woodland offers great views of Snowdonia from the top of the hill. You can reach here by bus from Machynlleth or, if your legs are still up to it, then you can walk here along the Dyfi Cycleway which takes around an hour. Five miles from Machynlleth through a twisting steep forested valley but accessible by bus Corris is home to an excellent craft centre with 9 workshops producing everything from glassware to gin, and a number of other visitor attractions including the Corris Mine Explorers, a chance to don hard hat and lamp and explore deep into the labyrinthine workings of Braichgoch - a Welsh slate mine complete with abandoned machinery and hear stories about what life was like working these mines. The trips are physically demanding but should present no problem for fit coast path walkers! Its possible to walk here and bus or taxi back if you prefer. For those who want a serious mountain to climb at the start or end of their walk then its from here you can base yourself and take an extra day and night to access Cadair Idris and an unforgettable 6 mile climb up one of Wales most iconic Mountains. Its around 10 miles from here by taxi (or occasional bus) to the starting point for the climb on the Minffordd Trail. The area surrounding Mach has also seen it become the Mountain Bike Capital of Wales – for organised adrenalin fuelled guided trips into the mountains from nearby Corris see http://www.bikecorris.co.uk/ride/#spacer not for the faint hearted but not to be forgotten !